Human powered motion is going to be part of the future of transportation. Image from Wikimedia Commons. In the classic Hanna-Barbera cartoon “The Flintstones,” cars were all powered by foot. 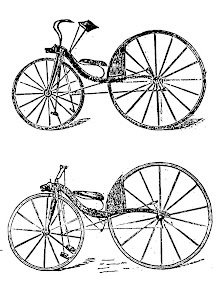 Since the invention of the bicycle, there hasn’t been a whole lot of improvement in the area of human-powered vehicles aside from engineering challenges. That is, until now. A design firm out of Oregon has come up with a car that can sustain speeds of about 30 mph, with electric assistance. Not only does it save a lot on gas, it will keep people in pretty good shape with regular use. Charles Greenwood saw the opportunity for a human powered vehicle for urban applications in the late ’60s. Since then, he has worked with a team of designers and other engineers coming up with a vehicle that can operate at motor vehicle speeds without a gas engine. The car also provides a great workout, and produces zero emissions. According to the Daily Mail, there are already about 100 orders in, and full production will start when orders hit 800. Once the company enters production capacity, it will already be profitable. Passengers use a rowing motion to drive. The HumanCar Imagine PS will cruise at 25 to 30 miles per hour, though experimental models have been clocked at 60 mph. It seats four, but if fewer than three people are aboard, the motor can be used as a boost. Steering is done by leaning, similar to a motorcycle. Greenwood is older than 60 and routinely drives one, and part of the testing was using senior citizens to drive it, according to the HumanCar website, so it isn’t solely for the uber-fit.